I really haven’t written much about the other segments of Circumferential Road 5 (C-5), choosing to write about the Katipunan Avenue stretch from Aurora Boulevard to Magsaysay Avenue (UP Diliman). C-5 is officially named Carlos P. Garcia Avenue or C.P. Garcia Avenue after the 8th President of the Philippines. C-5 though is more commonly known by its many names for at least 3 long stretches of the road: Katipunan, E. Rodriguez, Jr. Avenue (Boni Serrano Ave. in Quezon City to Pasig Boulevard, Pasig City), and C.P. Garcia Ave. (Pasig Blvd. to SLEX/East Service Road). 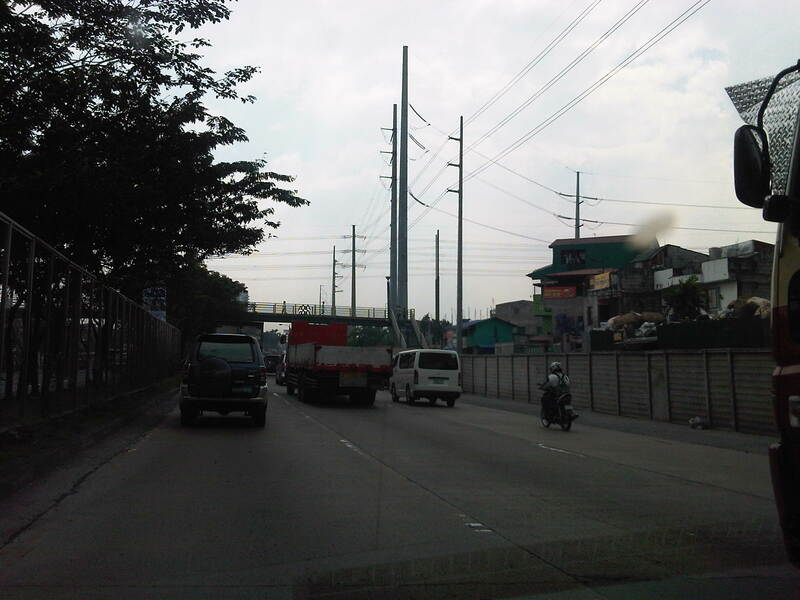 Following are a few recent photos along C5 along C.P. Garcia Ave. in Taguig. 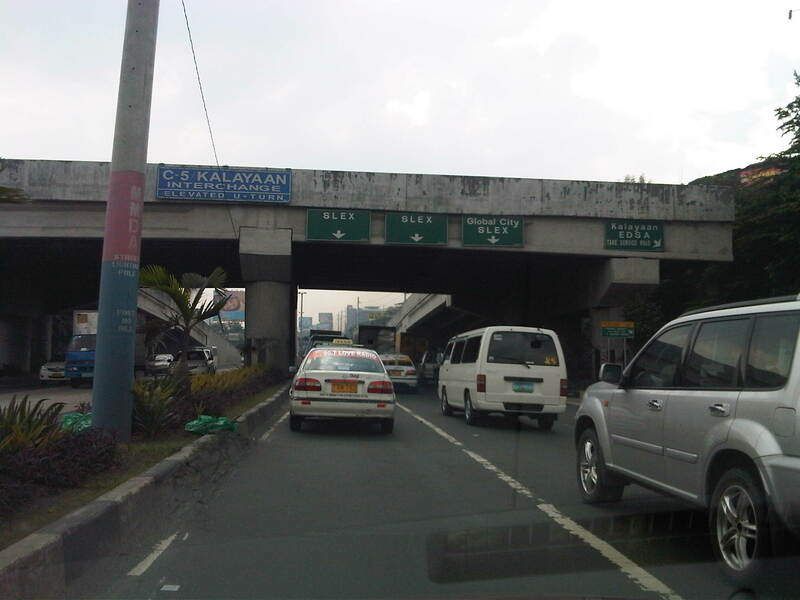 U-turn flyover at C-5/Kalayaan is among the much maligned projects of a past MMDA administration. There is supposed to be 3 lanes between the columns but the pavement conditions and relatively narrow lanes would usually accommodate only 2 vehicles at a time especially when one is a truck. Should it be demolished to give way to the original scheme proposed by the DPWH for the intersection? The current grade separation project at Quezon Ave./Araneta Ave. will eventually show whether such a scheme could have been better for C5-Kalayaan. The pink column is a remnant of what used to be a pedestrian overpass at C-5/Kalayaan. 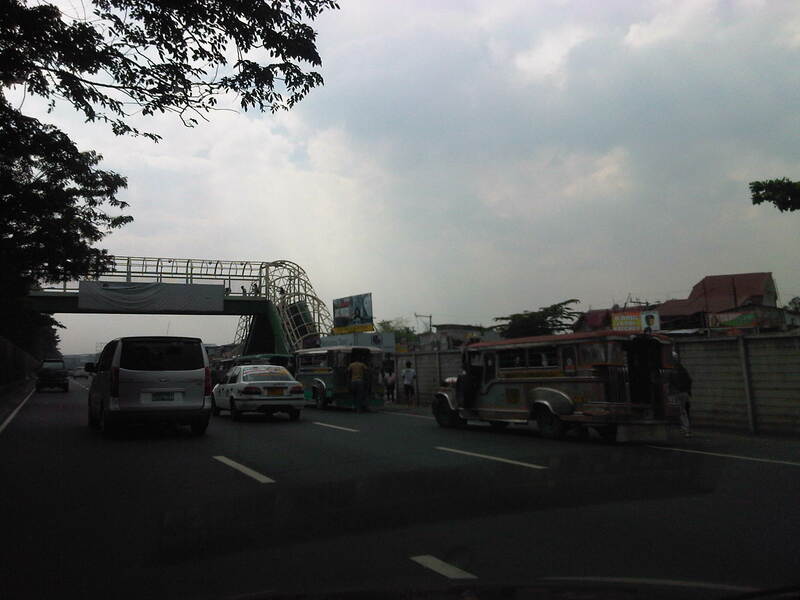 There used to be a two span overpass in the area that has since been That’s the second elevated U-turn downstream that is utilized by traffic from Kalayaan (Makati) to Taguig (through traffic if the intersection was not closed to such) and to Pasig (left turn traffic). 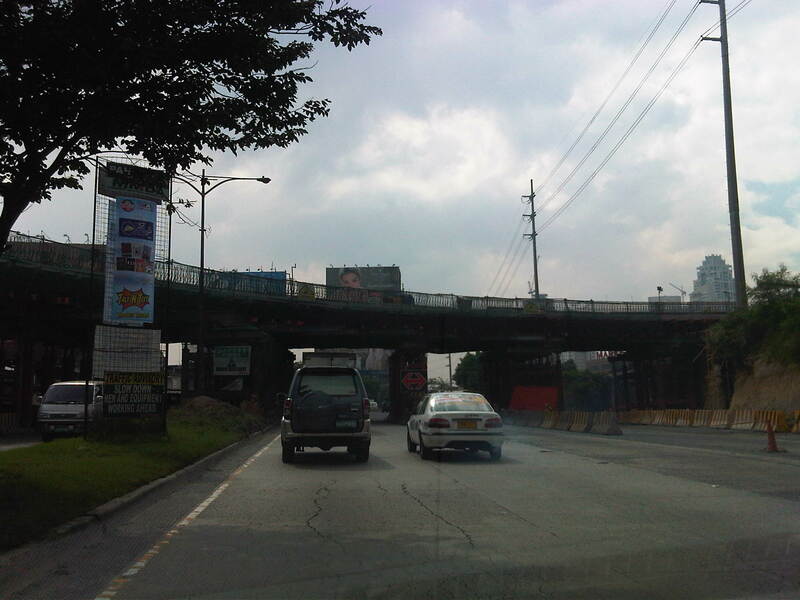 Approach to the construction site of an off-ramp/overpass from Bonifacio Global City. The flyover is supposed to ease traffic from BGC to C5-northbound currently concentrated along the overpass at 26th Street and Market! Market! Close-up of the flyover construction. The temporary columns and barriers in the middle of C5 can be quite tricky even during the day and the space is just enough for 2 cars to fit through the middle lanes. With trucks its again a different situation as they often require more space given the behavior of their drivers encroaching upon the adjacent lanes. Overpass from Market! Market! and along 26th Street. The pedestrians using the overpass and crossing to and from Target Street in old Taguig are undisciplined and do not follow traffic enforcers at the intersection with the service road. This leads to a high likelihood of pedestrian vs. vehicles collisions due to the conflicts in that area. 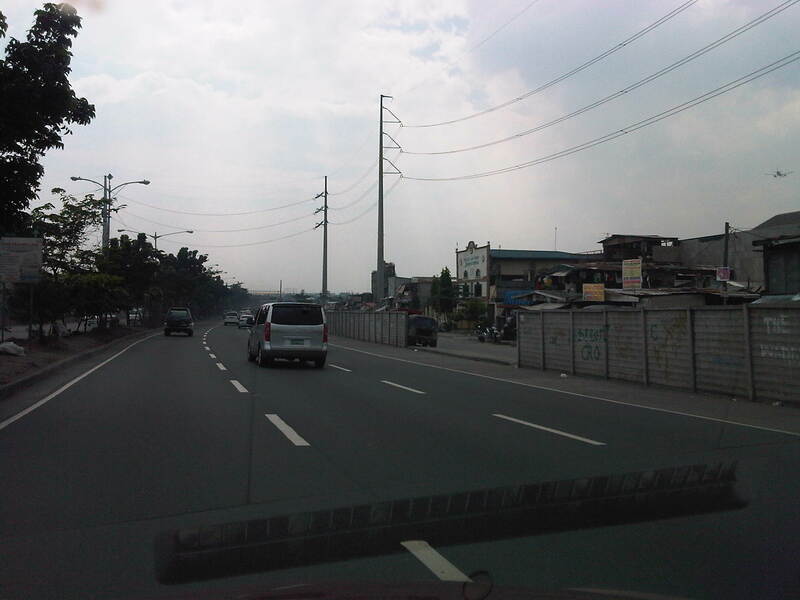 The walls at the right side of the highway were constructed to separate C5 from the service roads on either side of the highway. These service roads are notorious for being used by residents of the areas along C5 for parking and jeepneys typically stop anywhere along the road to drop-off or pick-up passengers. 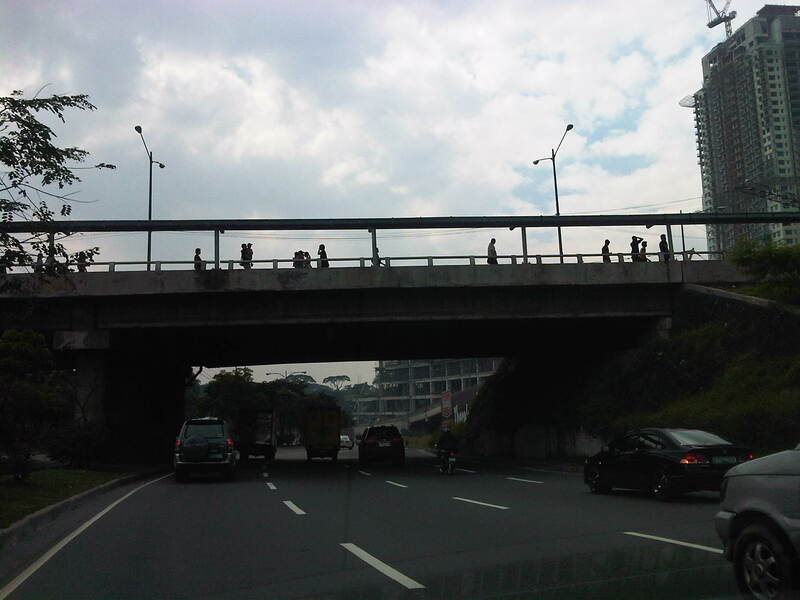 Also, there are many incidences of people crossing C5 without care of their safety. Also, there have been cases where some vehicles have been reported to have been stoned by anonymous persons (probably from the informal settlements along the highway). The walls were interventions that are supposed to control such behavior and keep C5 as unimpeded as possible. Despite objective for the walls, there are many breeches and these result in still a lot of jaywalking across C5 and jeepneys stopping to pick-up/drop-off passengers. A persistent issue along C5 pertains to the operations of jeepneys along the highway. There is a tendency to congregate at the designated loading/unloading areas that coincide with the pedestrian overpasses along the highway. 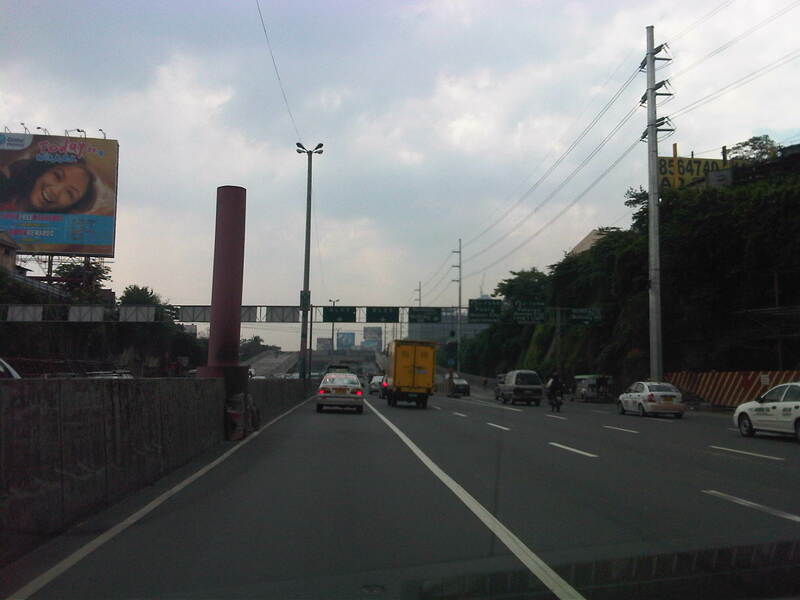 Jeepneys typically occupy 2 lanes including the shoulder lane adjacent to the wall. The same behavior occurs at wall breeches often causing bottlenecks along the highway. 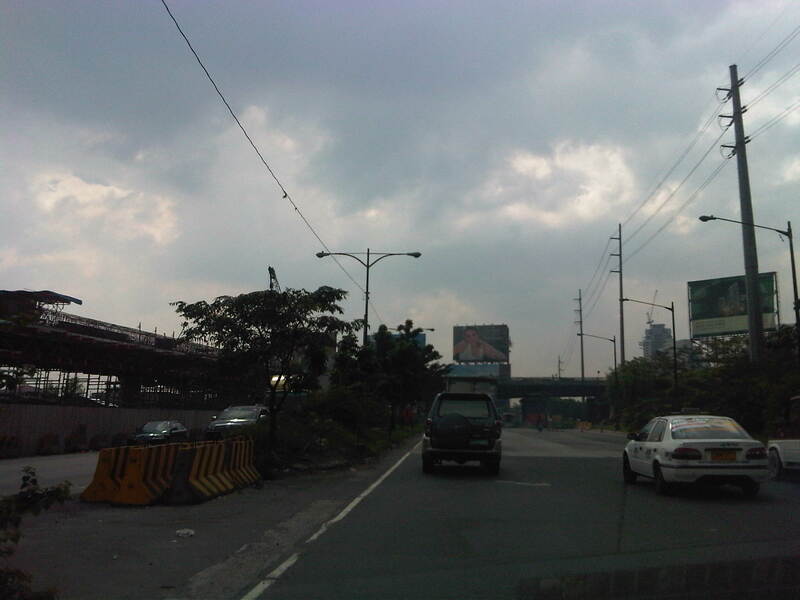 By d0ctrine in Behavior, Highways and Streets, Traffic Management on January 9, 2012 .